The first step for you to understand the stock market is to understand stocks. A share of stock is the smallest unit of ownership in a company. If you own a share of a company’s stock, you are a part owner of the company and you have the right to vote on members of the board of directors and other important matters before the company. If the company distributes profits to shareholders, you will likely receive a proportionate share. One of the unique features of stock ownership is the notion of limited liability. If the company loses a lawsuit and must pay a huge judgment, the worse that can happen is your stock becomes worthless. The creditors can’t come after your personal assets. That’s not necessarily true in privately held companies. Most of the stock held by individuals is common stock. Common stock represents the majority of stock held by the public. It has voting rights, along with the right to share in dividends. When you hear or read about stocks being up or down, it always refers to common stock. 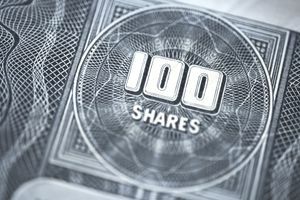 Despite its name, preferred stock has fewer rights than common stock, except in one important area—dividends. Companies that issue preferred stocks usually pay consistent dividends, and preferred stock has first call on dividends over common stock. Investors buy preferred stock for its current income from dividends, so look for companies that make big profits to use preferred stock to return some of those profits via dividends. Another benefit of common stocks is that they are highly liquid for the most part. Small and/or obscure companies may not trade frequently, but most of the larger companies trade daily creating an opportunity to buy or sell shares. Thanks to the stock markets, you can buy or sell shares of most publicly traded companies almost any day the markets are open. Stocks represent ownership in a publicly traded company and carry certain rights and privileges, including voting for the board of directors and sharing of profits. What Do Market Indexes Say About Investing? Betas Aid in Stock Trading - However, Which Beta Do You Use?